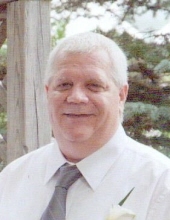 William R. ‘Bill’ Turner, age 52, of Merrill, passed away unexpectedly on January 30, 2019. Bill was born on August 13, 1966, in Merrill, son of Robert Turner and the late Patricia ‘Pat’ (Retzlaff) Turner. Bill attended and graduated from Merrill High School. He was a Cub Scout as a boy and served his country in the United States Air Force. Bill worked at Piggly Wiggly, prior to that he worked at C&H Packaging/InterFlex Group. Merrill has always been home to Bill. He enjoyed spending time with his brother, the late Ron Turner, and his family and continued to spend time with them after his brothers passing in 2017. Bill is remembered as easy-going, quiet and gentle mannered. He had a particularly unique sense of humor. He was a man of much knowledge, few words and had an inquisitive, exploring nature for how things worked. He enjoyed gaming, movies, reading, solitude, and dog sitting for his family’s German Shepherds and cats. He had a heart of gold and was always willing to help anyone, just for the asking. Bill was preceded in death by his mother, Pat Turner; beloved brother, Ronald ‘Ron’ Turner; maternal grandparents, Richard and Leona Retzlaff; and paternal grandparents, Ralph and Orma Turner. Bill is survived by his daughter, Chloe Christina Turner of Merrill; Chloe’s mother, Joann Peel of Merrill; father, Robert (Kathy) Turner of Wausau; sister-in-law, Christine (Steven) Turner-Meilhan of Merrill; nephews, Joseph, Andrew and Steven Turner all of Rothschild and Forrest McLaughlin of Chippewa Falls; and several aunts and uncles. Bill had many respected co-workers and friends. He will be fondly remembered and missed by everyone who met or knew him. A memorial visitation for Bill will take place on Friday, February 8, 2019 from 5:00 P.M. until 7:00 P.M. at the Taylor-Stine Funeral Home, Merrill. To send flowers or a remembrance gift to the family of William R. Turner, please visit our Tribute Store. "Email Address" would like to share the life celebration of William R. Turner. Click on the "link" to go to share a favorite memory or leave a condolence message for the family.